It's important to be your best. Otherwise you'll lose what's important to you. figure. Her skin is as pale a white rose and her eyes as dead as a murky blue lake. knees are knobby, and her feet slender. Looking at her, one might wonder if she'd just vanish away. destructive. She is reserved in speech, but lose lipped in reprimanding others. that everything bad that's happened to her in life is a result of her own failures. —Description: Roberta enjoys drawing. While she is certainly no professional artist, she has a respectable amount of skill. —Description: Roberta considers her firm grip on the intricacies of the English language to be a strong suit for her. —Description: Roberta can be very affectionate when she properly understands how to speak and communicate with others. —Description: Because of Roberta's desire to correct others, she can be overbearing. —Description: Roberta isn't sensitive in the traditional sense where she's sensitive about her looks, or about her words. She's sensitive in where when someone she trusts even attempts to hurt her, she immediately shuts down and becomes angered. —Description: Roberta can tend to poke her nose in matters that don't concern her. Even when it's been made very clear to her that she shouldn't be involved in a situation. Weapon Description: A lavender stick about half the size of her leg. It resembles the sticks used by gymnast in their routines. Shotgun - Scatter Shot - Accuracy is decreased by 30%. Consumes 3 types of ammo at once to fire -must be same type of ammo. Can shoot all enemies with one attack. Roberta Rose grew up in a poor nameless town. It's streets were dirty and forgotten. The strength of it's people had no claim to glory, save for the sky scrappers that seemed to hold up a murky dome of heavy oxygen. The various bustling factories still run by the mindless billionaires who worsened the working conditions every week was her only salvation. At the young age of seven she was already working to help out her home. Roberta never found this to be a bad thing though. This was merely her life. She thought the gray skies were pretty, they reminded her of the froth on the windows at Christmas eve. She thought the rugged streets filled with holes no car dared travel through made an excellent playground with the other members of her town. She loved her mama and papa and loved how they'd read her stories growing up. She loved her life, and she loved the factory though she was sad when someone died. She thought this was all the world would offer, and she was content with this. One day, Roberta came home and found her mother and father leaving. Her room had been packed up, and the windows she loved had a strange drape on them she'd never seen before. They were hiding, and running. So much running, running through that thick air she never thought was heavy while she played with the boys and girls of the town. She was gone. Her family ended up as illegal immigrants in Endymion, and she's gone to school there ever since. When Roberta looks out of the windows, she imagines her home again. She imagines the froth on the windows and the heavy air she never noticed whilst running. Roberta is attempting to join the Governments Class Zero in order to ensure her new home is a stable one, though she wishes to return to her place of origin. Nicely done. Everything appears to be mostly in order, but there are a few things I feel should be addressed. 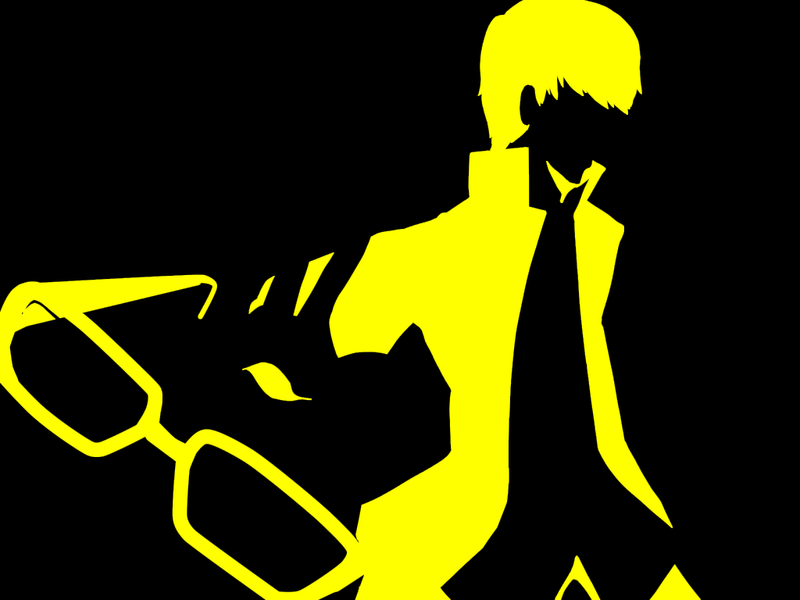 First is the most important: you can't actually be a Persona User as a Cadet. While in-character all people who summon Personas can be reasonably called such, the OOC class itself is exclusive to Psyche Terrorists thanks to the fact that the ritual Cadets use to awaken "taints" their Persona with the blood and influence of the queen. Persona Users are therefore exclusive to the Psyche Terrorist side whereas the "Nyarlathotep Children" class is exclusive to the Cadet side. All the other classes (excluding Velvet Attendants naturally) are available on both sides though, so if you want to make a Cadet and don't want to be an NC then there are plenty of options to choose from, it's just PUs aren't one of them. Cadets also don't have an Alternate Appearance since the general public accepts them and assumes they're trustworthy. You can still have a uniform or special set of clothes you wear on the job, but it wouldn't be a supernaturally summonable mask and attire like non-Cadets have, just a normal set of clothes that can be worn at any time. Secondly is her place of residence. It doesn't really matter where in the city she lives but you should still specify it. The city has six districts each (seven counting Seven Stars Academy which has dorms if you wanna live there) and they all have their own places, activities, and so on. For the sake of convenience I've put a list of the description topics in the spoiler below, so feel free to peruse and skim them as you see fit. They're pretty short and should give you a general idea for the atmosphere and purpose of each area, but if you aren't interested in the finer details at the moment then I also summed up the gist of them at the bottom beneath the links. Tl;dr Seven Stars is the school, Sunlake Palms is the peaceful suburbs, Vista Square is the information/media district, Little Tokyo is like places like Chinatown, East Eden is the farming district, Suzie Q is the entertainment/music district, and The Backlight is the commercial district where most shops are run. You can choose to live in any of them so just pick whatever sounds the most interesting to you or the most fitting for your character. Lastly, I feel I should mention that strengths/weaknesses can have mechanical effects if you want. It isn't a problem if they don't and it's absolutely fine to keep them as they are currently if you want, however, you can feel free to attach bonuses to them as you see fit. For instance, you could take a strength that boosts the damage you deal with Fire skills by 15%, or you could take a Social Quality strength to start out a rank higher in one or get double the amount of points toward leveling it up. Keep in mind you'll have to have a weakness of an equal value and type for each strength you take though. So as an example, you could have it so her Affectionate strength puts her at rank 2 Understanding from the start, but in exchange you'd have to take a penalty to another Social Quality like having the amount of Courage points you get be halved or making it so you have to level up twice to get past rank 1 of Intelligence. That sort of thing. These links should cover Strengths/Weaknesses and Social Qualities respectively if you need further clarification beyond that. That should be it. Once all that's taken care of you'll be good to go. Let me know if you decide you want to stay a Cadet and need help changing the template from one type/color to another.